Goes without saying. Best team of this year, CS:GO history, and depending on you reference points for consuming CS:GO, all-time. 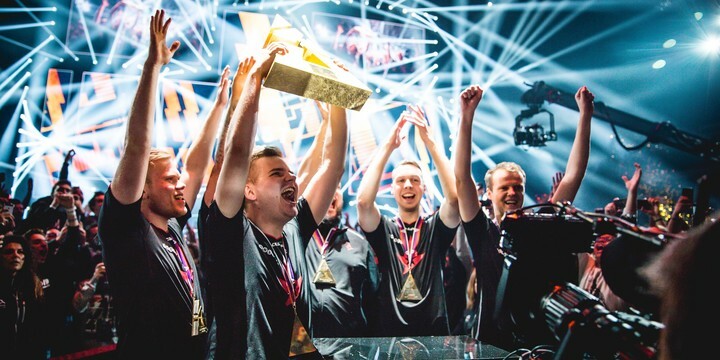 From the way they approach the game conceptually outside the server to the innovation and cutting-edge play they deploy inside of it, Astralis’s win conditions remained beyond reproach. Each of their players sits towards, or at the top of their role in the world. Their map pool is as expansive as it is deep. Other organisations may be able to match Astralis’s resources, but none leverage it as effectively into accomplishments as the danes: the Intel Grand Slam, a major, and the largest distance established between the number one and number two teams in CS:GO history. There has been no team like them, and it’s hard in the present to see an actual contender to their throne. In CS:GO’s broad 2018 narrative, Liquid’s name has, like it is on this list, always been proportionally tied to Astralis. They are the epitome of bridesmaids. Of the 11 LAN series they played in 2018 versus Astralis, Astralis has handily won all 11. But this isn’t to discredit Liquid as a team. It takes one hell of a roster to grind their way into a position where they’re capable of losing to Astralis in so many final and playoff matches in the first place. While Liquid consistently fell to their Danish foe, in every other respect, the North Americans proved themselves the second best team of the year. No other roster was able to as consistently beat other elite teams and push through group stages unscathed. Of their 3 series against Na`Vi with NAF, Liquid never dropped a map. Over their 10 series against the Brazilian core and FaZe, they won 7. They lack a meaningful trophy, however, with their New York campaign being snatched out of their fingers by a Mousesports coming back from the dead. They also were knocked out of two tournaments in upset fashion by NRG and bombed out of Cologne and Marseille. But overall, their record is about as consistent as it gets. They are the shining example of a North American team transcending their roots both stylistically and in the framework of a world rankings. For their efforts, they are undoubtedly the second best team of 2018. If only they have existed in another era devoid of the Danes… Or maybe it was that very competition which made them so good to begin with? Criteria: The player who can leverage the most raw impact in the server taking into account the context of their team dynamic/role, level of opposition, length of time in dominant form, and statistics. Of all the listed items in this article, s1mple’s name and position in this category may be the least surprising. His team, Na`Vi, only won a single premier tournament in ESL One Cologne, but this did not characterise his year. Overall, s1mple proved to be the most dominant, audacious, consistent, and impactful player in the world. His greatness in 2018 was measured more round-to-round and half-to-half than trophy-to-trophy. Statistically, he is the highest rated player in 2018 on LAN by a large margin. He has the highest kills per round, with over 55% of his rounds in 2018 resulting in 1+ kills, and the most clutches in the top 20 (two more than Xyp9x!). Somehow he also is in the top five for headshots per round despite having the third most AWP kills per round as well. Stats are the only way of trying to frame his insane dominance less I start delving into romantic-era poetry level descriptors about his play. Undoubtedly, he is player of the year. While TwistZz may have finished 2018 on a stronger note than NiKo, the Bosnian overall is untouchable in the second spot. Astralis members have the unfortunate characteristic of playing in a team which is defined more-so by teamwork and its ability to play greater than the sum of its parts than individual star components. As such, while statistically someone like device looks great and has the MVP’s to prove it, in the context of a team dynamic, NiKo stands in a different league. Device, dupreeh, Xyp9x, Magisk and gla1ve all fulfill their roles at an elite level, but have any lapses in their individual game made-up for by their teammates. Astralis are so cohesive and clean that there isn’t the same pressure on their stars to overcome as big hurdles as someone like NiKo. NiKo, in-spite of two different stand-ins, taking up calling duties, and being forced into a fractured team dynamic, has the second highest kills, damage, 1+ kills, and headshots per round on LAN in 2018. He hard-carried FaZe to trophies at EPICENTRE 2018 and ESL One Belo Horizonte and did so with a certain style that’s unique to his crosshair. He is, in peak performance, the flashiest rifler in the world. He stands on-paper amongst legends, but as any FaZe fan will know, was the driving force for the roster tournament-to-tournament. His lowest rated LAN event (outside of BLAST’s) was an admirable 1.16 rating at StarSeries S4. No other player except for s1mple can claim such insanely impactful consistency in as changing, damaged, and tired a line-up as FaZe. While his team only had brief moments in 2018’s headlines, NiKo quietly had one of the most impressive years of individual stardom ever. Had it not been for s1mple, Astralis, Liquid, and FaZe’s overall poor performances, then NiKo’s addition in this spot wouldn’t be so controversial. Just because he doesn’t have the MVP’s doesn’t mean he doesn’t deserve the spot. Honourable mention(s): TwistZz, KrimZ, Electronic, and every member of Astralis (given each was at the top, or top three of their role for extended periods of the year). Criteria: To be in this category, a player doesn’t necessarily have to be a ‘rookie’, but rather, relatively unknown to the community at large in 2017 and then have ‘broken out’ in 2018 through big performances. The ranking is measured in the same fashion as the player category before this. Daps has a tendency to locate, integrate, and then successfully utilise players which have certain qualities few others see. nahtE proved throughout 2018 to be further evidence of daps’s ability to scout stars. nahtE wasn’t a 2018 rookie, having already racked up many LAN’s under CLG in 2017. He was hardly known, however, to be a player who could be the central star piece in a top eight team in the world. Yet, in spite of expectations, nahtE broke onto the international circuit not in a singular shock fashion, but rather through consistently solid performances over many big LANs. From playing (and consistently losing) in Dreamhack Open events last year, nahtE in 2018 stepped up with consistency against top tier opposition in a way few players can but with double his experience. Despite his age, nahtE is a highly flexible player in NRG’s system, being comfortable anchoring sites on CT while also forcing advantages in the early-round on T. He had one of the highest opening kills per round out of all North American players. He’s adept at working impact on both sides of the map towards either end of the fragging pack. Cool and calm under pressure, he can both open and close a round for the team. He’s young, but vocal in the team dynamic. And he’s done all of this in 2018 against elite opposition, averaging a 1+ rating over 17 maps against Liquid, the second best team in the world, and 1.1 & 1.2 ratings against Na`Vi and MIBR over 5 and 6 maps respectively. 2018 was the year nahtE became a monster on the world stage and in a fashion no one but himself and maybe daps could’ve dreamt of the year before. In terms of narrative, Sergej is definitely a juicier candidate for the number one slot. nahtE is 18, sergej, 16; sergej, a rookie coming from the total unknown, and nahtE coming from the peripheries of semi-pro play. Sergej also had higher one-off series than nahtE with ludicrous 1.54 and 1.58 rated series against Mousesports and NiP at ESL One Cologne 2018. But despite coming from a more unknown place, and reaching a higher peak, he fails to have the same consistency against the same level of competition as nahtE. That’s not to try and take anything away from Sergej though. The Finnish teen is undoubtedly the next big thing to come out of Europe. Ice runs through his veins but not in a way that suggests debilitatingly calm and reserved play. Sergej knows he is better than most of his opponents and feels comfortable pushing advantages and mistakes. He is only 16 but is the safety net for ENCE alongside the veteran AWPing of allu. In-lieu of momentum into a round though, he is totally capable of taking his punishing play to the forefront of a T-side to work openings. His resume is lacking only in the sense that he’s had half-a-year to build it. 2019 will likely be a year we see the Fin emerge as one of the game’s most realised stars and all before he’s able to legally buy a beer in his home country. Honourable mention(s): Brehze, Brollan, w0xic, somebody, xccurate and aleksib. Criteria: To qualify, a team has to have broken into and consistently stayed in the top 15 in surprise fashion. The ranking of the team is measured by the context of where they came from before their ‘break’, how they did-so, expectations and the relativity of their results before/after the ‘break’. NRG closed their 2017 with Anj still in the line-up and two surprising upset victories over North and NiP. Daps himself mentioned in an interview with me at EPL that these were games the team had ‘no right to win’. But the results did subtly hint at the mass of potential daps was working with heading into 2018. Cerq, in these upsets, put up an impressive 30 bomb, 111 ADR game that would fuel the cloud of hype around his name. And in the weeks after that victory they would claim the services of nahtE who would help kick-start their online campaign in 2018. In this campaign, they went on a blitz of online form and qualified for a string of international LANs setting the stage for their rise. Through these big LANs, Brehze, nahtE and Cerq started to gain confidence against opposition far higher in the rankings and learnt about the dynamics of the international circuit. Importantly, daps slowly worked his way into the pocket of calling match-ups against the likes of Liquid and MIBR given the opportunity to on bigger stages. Overall, NRG’s start to the year set them-up for big results towards it’s middle and end. They claimed huge Bo3 wins at StarSeries S5 over Liquid and North. They failed to qualify for the major, but made-up for it with lifting their first trophy as a team at IEM Shanghai. This would be followed up with another Bo3 win at StarSeries over North and another trophy claimed handily at cs_summit 3. Fatigue would slow down the NRG train towards the end of the year as they fell to the likes of Ghost Gaming and LDLC. This period, however, still saw series wins over Liquid and MIBR at seperate tournaments validating their danger as a bottom-of-the-top-ten upset side. NRG’s presence on the world ranking further cemented the rise of North American teams throughout the year and made them a surprise force in many tournaments. They were relentless with their aggression, tough to read with the mind of daps leading their T-sides and dogged for even the most elite teams in the world to put down. They started the year just inside the top 20 and finished it barely outside the top 6. They did all of this with a team formed from scrap parts in a region infamous for its historical lack of depth on an international level. They were, the breakout team of the year and one of the most important ‘new’ top sides in NA in CS:GO history. This iteration of Tyloo, despite all odds, is the best Asian CS:GO side in history. The team is split in half linguistically with Somebody/DD/Mo hailing from China and Xccurate/BnTeT from Indonesia; Mandarin on one hand, Indonesian/English on the other, and very little in-between. In a period marked by teams forced to dig deep for win conditions beyond aim and puggy play, Tyloo have managed to score consistent upsets, and (briefly) break into the top ten. They beat Na`Vi in a 2:0 at StarSeries, NiP 2:1 at CAC, MIBR at the FACEIT Major, and even took a map off of Astralis at Dreamhack Stockholm. Somehow despite not even being able to engage in fluent long-form conversations outside of the game they were were able to cobble together a style that claimed legitimate scalps and over an extended period of time. They were the first Asian team to ever qualify for the main stage of the major. Somebody, BnTeT and Xccurate all proved to be capable international assets in a variety of ways. Somebody, with his crazy off-kilter style which characterised Tyloo as a team. Xccurate and BnTeT, with their calling and back-of-the-pack clutching. They may not have had as many or consistent results as someone like ENCE, but in terms of where they had to ‘breakout’ from, they fit into this mould more-so. Given the nature of their line-up, region, and formation, no one expected them to have the results they had this year. They are definitely the biggest surprise of the year even if they mightn’t be the most successful breakout team. The context of their team and what they were able to achieve in-spite of so much makes them the second best breakout team of the year, at least, for this article. Criteria: The relative ‘weight’ of an event that occurred outside of the server. Cheating has been a mainstay of debate in CS:GO for a litany of reasons. Primarily, CS:GO fans are so passionate about the issue because of the impact and helplessness a cheater can generate in their match-making experience. Cheaters can take away half-an-hour of your life in Counter-Strike in a way they can in few other games. In a professional sense, cheating is an accusation many young up-and-coming players were forced to contend with in the burgeoning stages of their career. There’s countless clips, hearsay, and private messaging about cheating in the realms of semi-professional play, but rarely does it enter into the mainstream of community conversation. 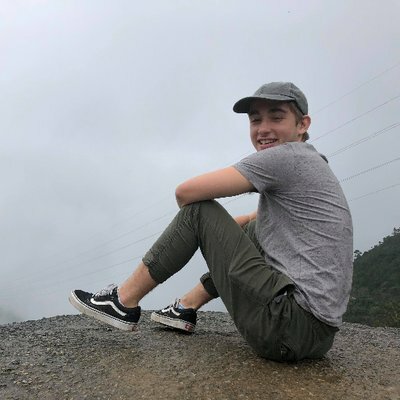 In October, at eXTREMESLAND 2018, OpTic India player forsaken was caught cheating on LAN. It was one of, if not the biggest story of the year and centered on a clip of forsaken comically palming off an admin who was trying to access his computer. Beyond a doubt, he was cheating in a LAN environment many deem the last secure arena of competition. This incident was the first high-profile, totally sure-fire case of a ‘professional’ player being caught cheating on LAN. It validated, dredged, and multiplied the worry of many around the integrity of LAN competition. It reminded the community at large that while cheating is an uncommon issue, even at lower level LAN play, it’s still one that needs constant attention and evolution of measures to stop it. Forsaken cheating showed that custom hacks are very much available and there’s people willing to use them, but also that they’re capable of being caught. Valve has long been criticised for their lack of interaction with the community. While it has been at the center of a strategy rather than simple neglect, there are still large portions of the community frustrated at the idea their favourite game isn’t getting the love it should from the developer. The change of banner/profile picture, simple tweet of ‘What are you doing Wednesday?’ from Valve, and follow-up tweet from their official Twitter account ahead of the ‘Danger Zone’ announcement was a welcome change from this. It generated hype for the change - albeit in a novel way - and epitomised the general trend of the CS:GO’s devs interacting with the community more throughout 2018. On top of the Danger Zone tweeting fiasko, we also saw John McDonald answer a number of questions from people on Twitter, and the CS:GO twitter account, in-general, step-up it’s meme game. The devs no longer feel like a tight lipped and closed-minded stone wall. Instead, we saw their social media team (or person?) regularly engaging with the inside jokes of the subreddit with public figures like Don Haci on Twitter. All of this engagement is backgrounded by things like the Panorama UI being rolled out, CS:GO going free-to-play, and Nuke being given incremental changes to make it a viable pick in the pool. It’s been great to see the in-game changes and improvements met with out-of-game evolution as well from Valve.